a trusted partner for processing, production, and heavy industry in the north west. When you demand experience, attention to detail, and innovation, DRB delivers. We do this with technical intelligence and practical experience. We support maintenance, project, and operational teams to develop bespoke solutions for new and existing systems to keep their critical plant running efficiently. Our variety of in-house skills mean we can take your challenge and deliver a fully bespoke solution: from technical design all the way through fabrication, installation and commissioning, and after-sales maintenance. If your existing plant could benefit from refurbishment to increase throughput, DRB is can reverse-engineer and adapt existing setups. We understand that up-time is critical. Our experienced electrical team will get you back on line. We’re cereal roll specialists, manufacturing new rolls, and proven experience of extending the life-cycle of cereal rolls in operation. If your business involves heavy processing, DRB will support your operations to keep production running effectively. Want to improve health and safety practices with more automation? 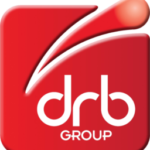 Trust DRB’s experience, attention to detail and innovation to deliver. Trust DRB’s experience, attention to detail and innovation to deliver refined, bespoke solutions for your precision-driven industry. DRB has helped improve safety and efficiency for our rail customers, with bespoke maintenance and manufaturing supoport.